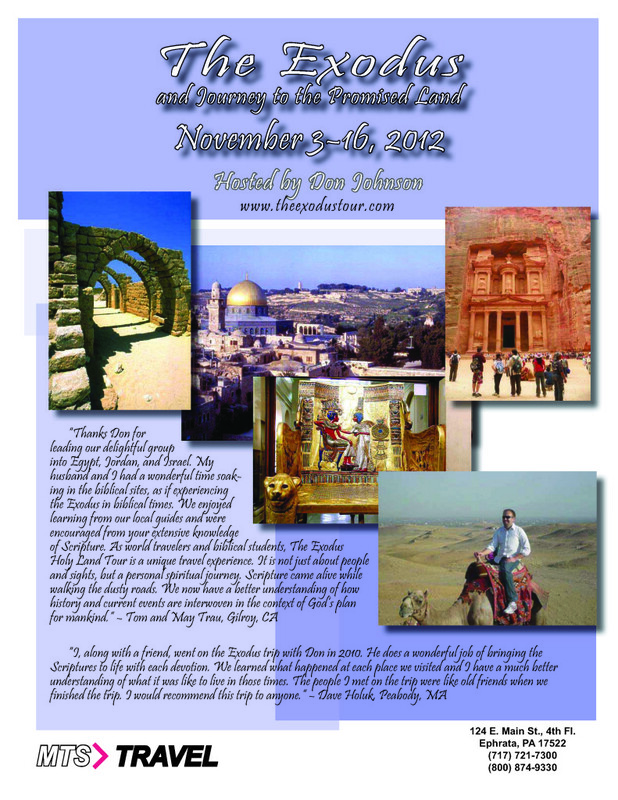 One of the most reliable ways to gain a fresh perspective of God and His plan for the world is to visit the Holy Land. For that reason, I love hosting an educational and inspirational sight-seeing journey from Egypt to Israel. We land in Cairo, visit some spectacular locations in Egypt, including Mt. Sinai, and then continue across the desert to the Promised Land. We tour amazing locations in Jordan, including Petra and Mt. Nebo, then spend several days in Israel visiting extraordinary holy sites. This is a tour that will change the way you read the Bible! It is truly an unbelievable experience! Our next tour was planned for November, 2012, but due to the uncertain political climate in Egypt and the Middle East, we have postponed it until things calm down a bit. I will keep you updated here. I hope you will join us!